Any UK City: We bring the ropes to You! This is a world where the bats and the birds live and now you can hang out here too. 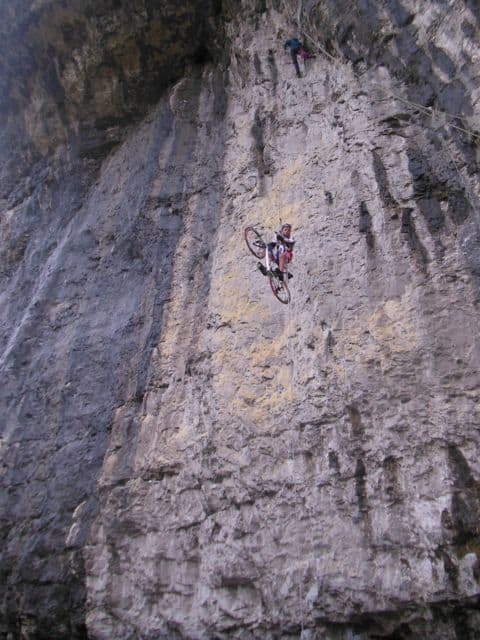 It’s high, it’s scary, the wind is blowing, there is nothing beneath your feet. You’ll sweat and shake while you wonder why on earth you’ve agreed to do this as you lean back wondering when the rope will catch you tight. However, you’ll proper love it! So what are you waiting for, read what it’s all about and get yourself booked on! 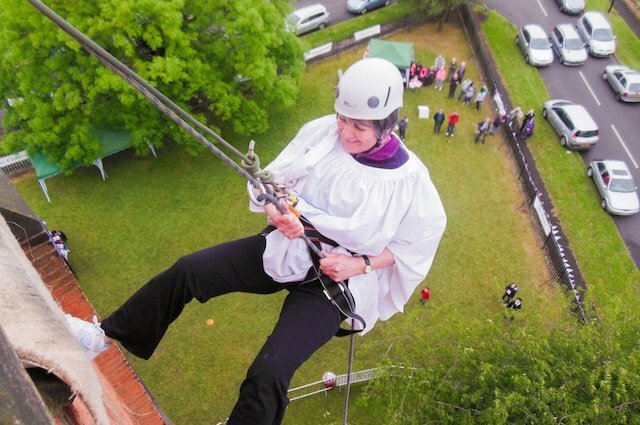 We can cater for events of all sizes and there’s no need to have abseiled before so please contact us if you have something in mind. 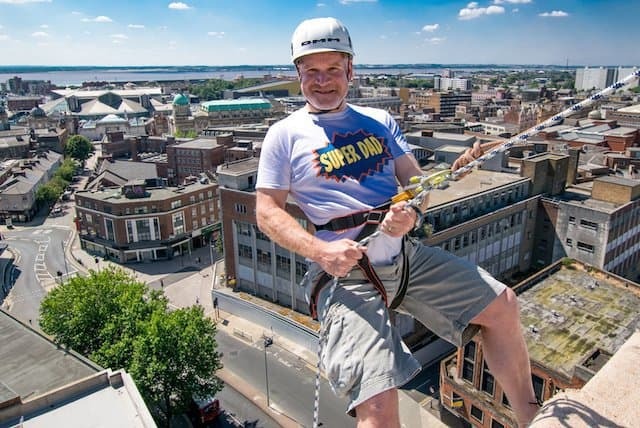 We’ve run abseils from churches, mosques, sky scrapers, viaducts, bridges and office blocks in Manchester, London, Birmingham, Hull, Leeds, Bradford, York, Sheffield and dozens of other UK cities. 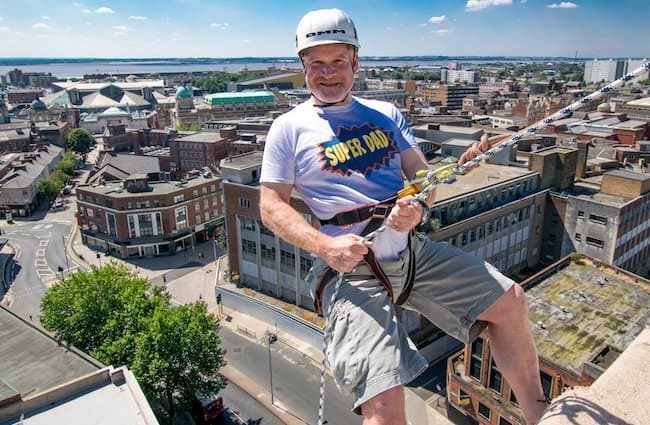 We can literally bring the abseil to any place in England, Scotland and Wales and subject to a site evaluation and risk assessment being written we can safely help you with your challenge. 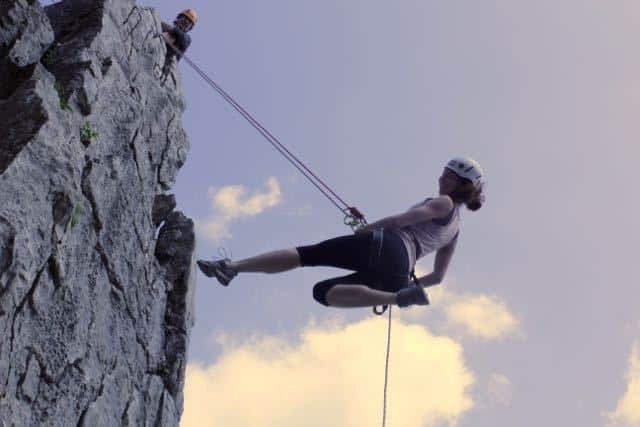 If you’d prefer to be in nature for your adrenaline rush then we organise abseils from cliffs and mountain tops throughout the UK’s national parks and all mountainous areas. 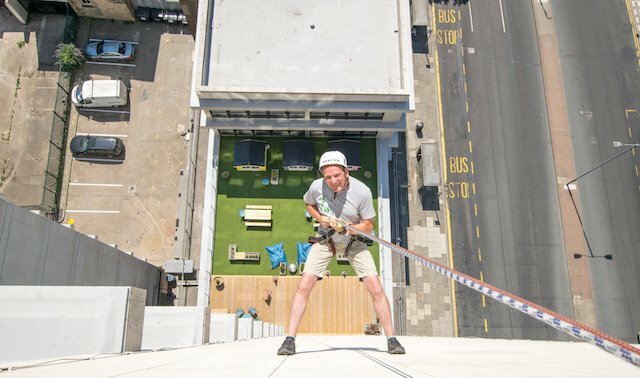 Visit our abseiling page to find out more. 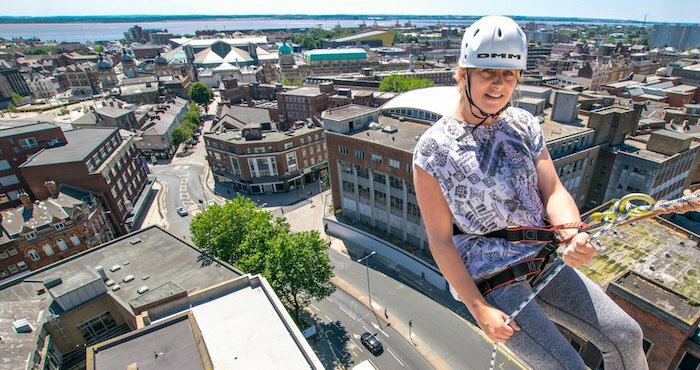 Whether you would like a day tailored towards company team building, school groups, a charity event, a celebratory birthday experience, or something a little more suited to Stag/Hen do’s (or something else entirely) check out our group experience days page. 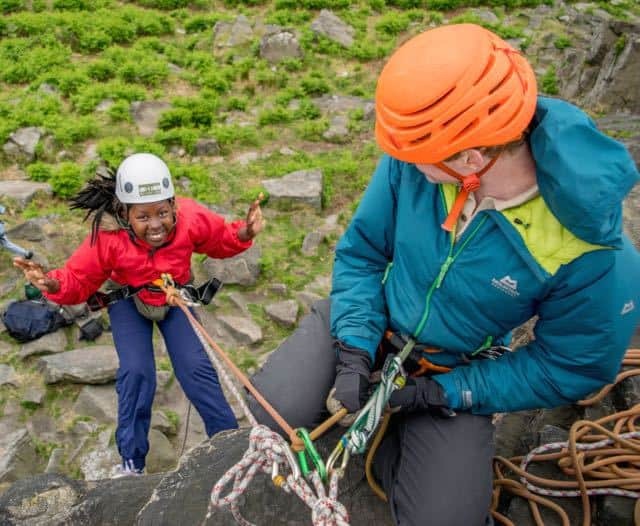 Children older than 6 are most welcome on our abseils depending on location but please let us know when booking how many and what ages they are. 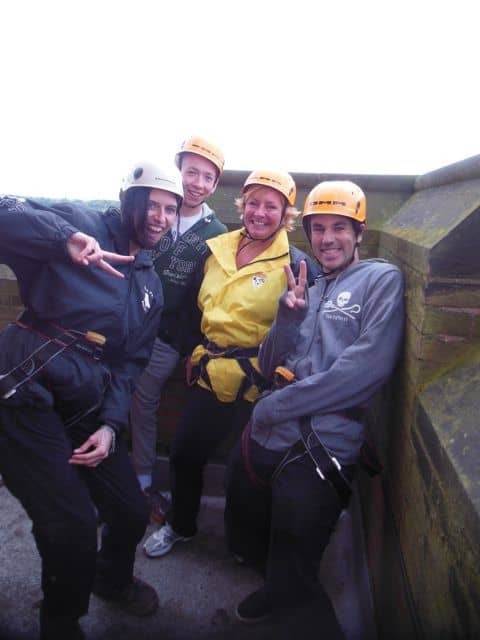 We have no upper age limit, as long as you have the determination and a sense of adventure! 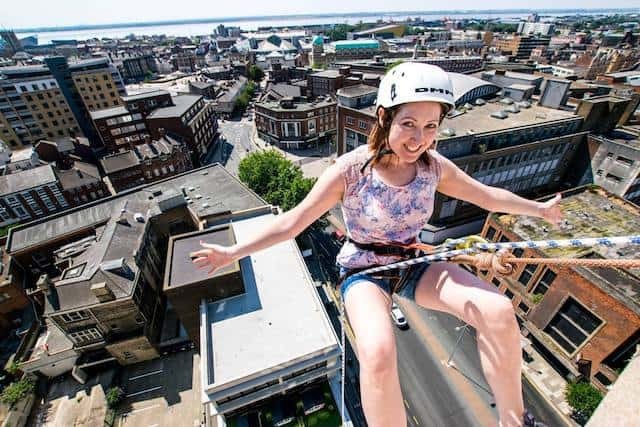 First you need to get permission from the building owner, then we need to send someone down to check out the building, write a risk assessment and test it out. 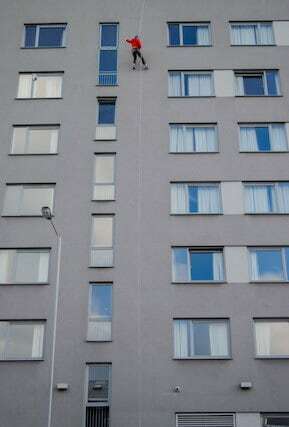 Then you promote it and we run the abseil. It’s as easy as that! We currently have permission to use 2 urban locations. 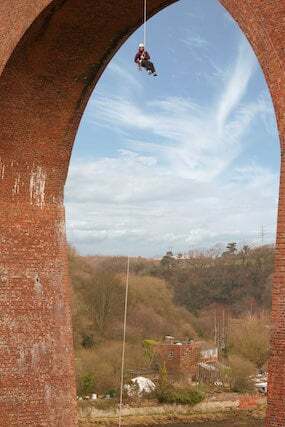 Our highest is the K2 Building in Hull (60m) and slightly further north is the totally overhanging Larpool Viaduct (40m) but if you have permission for another building we’ll come and run it. £249 for the site inspection.  Please note for site inspections in London and Birmingham we will have to add a fuel surcharge. This only applies to the site inspection and not the actual day of the event. 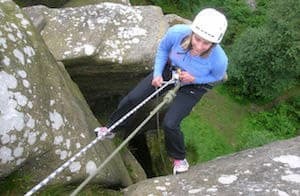 Call us on 01904 500094 or email us at info@lostearthadventures.co.uk.